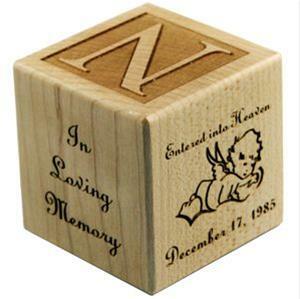 The memorial baby block is laser engraved with the details of the newborns birth and passing. It also has a graphic of a baby angel floating on a cloud. 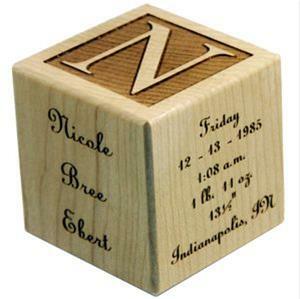 Engraved details include: Baby's full name, date of birth, time of birth, weight and length, day of the week, city and state of birth, and date of passing.